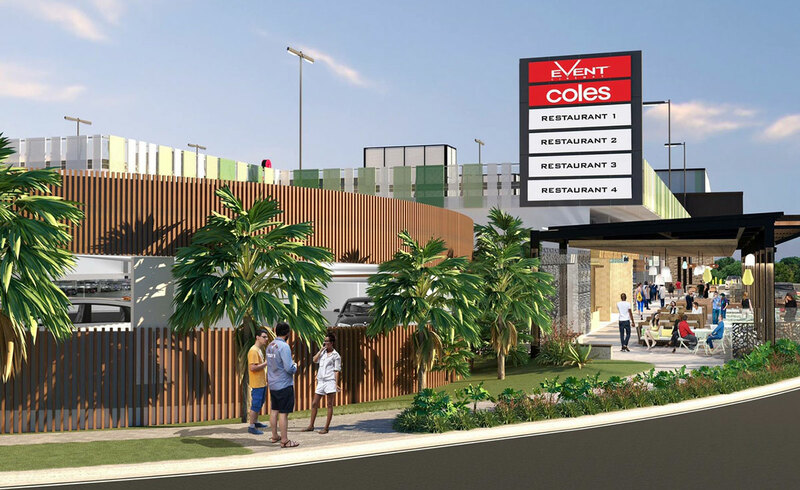 Event Cinemas, new parking & dining now open! 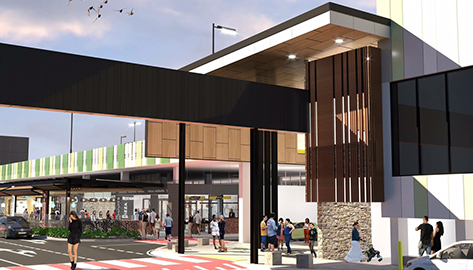 Complete with GA, VMAX and the Sunshine Coasts very first Gold Class cinema, the 6000sqm complex sits alongside a range of new dining and entertainment offers. The new multi-deck Northern car park is now open as of 27 November , with an additional 590 new spaces added, 400 of which are undercover. Event Cinemas is now open, offering the first Gold Class and VMAX experience on the Sunshine Coast, as well as general admission. In addition to the cinemas, Planet Arcades, Clean Me Carwash, P'Nut Street Noodles and Lone Star Rib House are also now open. Opening dates of these retailers will be announced soon! The work will lead to more than 200 new retail jobs when complete and significant employment during the construction phase. 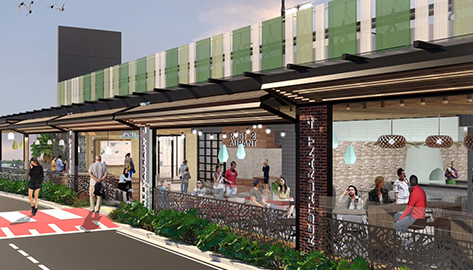 During construction, it is anticipated that all Centre malls, entrances and pedestrian walkways will remain operational and accessible other than some brief closures if necessary for safety considerations. The brand new carpark in the north (underneath the Cinema construction area) is now open, as of Thursday 29 March! 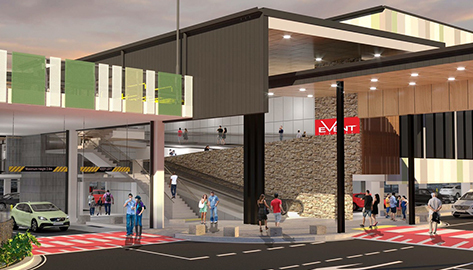 Providing new undercover spaces, the car park can be accessed via the ring road between The Groove Train and Australia Post. The brand new carpark in the north (underneath the Cinema construction area) is now open, as of Thursday 29 March. 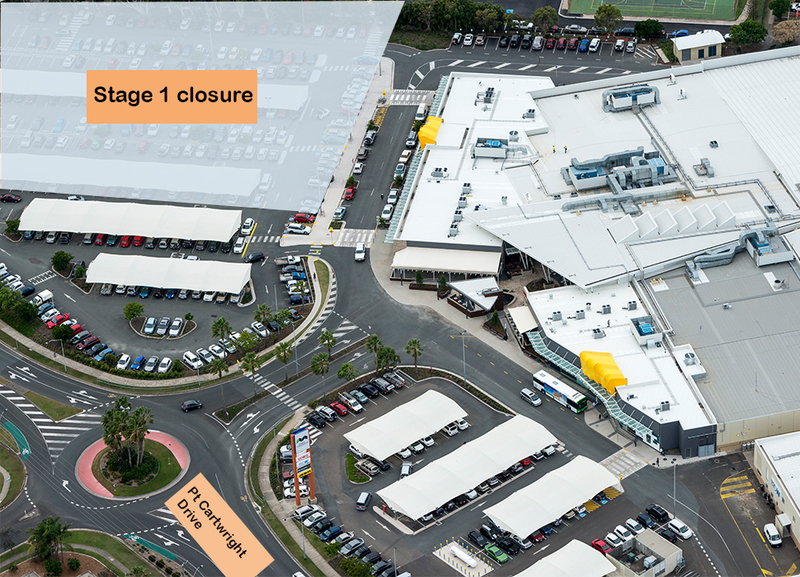 From Tuesday 3rd April, the remaining section of the northern carpark (the section of remaining carpark between the construction site and Point Cartwright Drive) will be closed in order to commence construction on the remainder of the multi-deck carpark. The ground level of the new carpark (under the Cinema) will be open during this time and will compensate for this closure of the remaining carpark with around 40 additional spaces. We will continue to keep you informed of upcoming works scheduled to take place, we do appreciate your patience. In order to complete the re-profiling of the ring road and connecting the new development to the centre, the ring road surrounding the centre between The Groove Train and Australia Post will be closed from Monday 29 January for approximately six weeks (weather dependent – please see map below). To make way for the new additions, works have now commenced on our Northern car park (closest to Coles), causing partial closure of this car park. (both accessible from Pt Cartwright Drive). 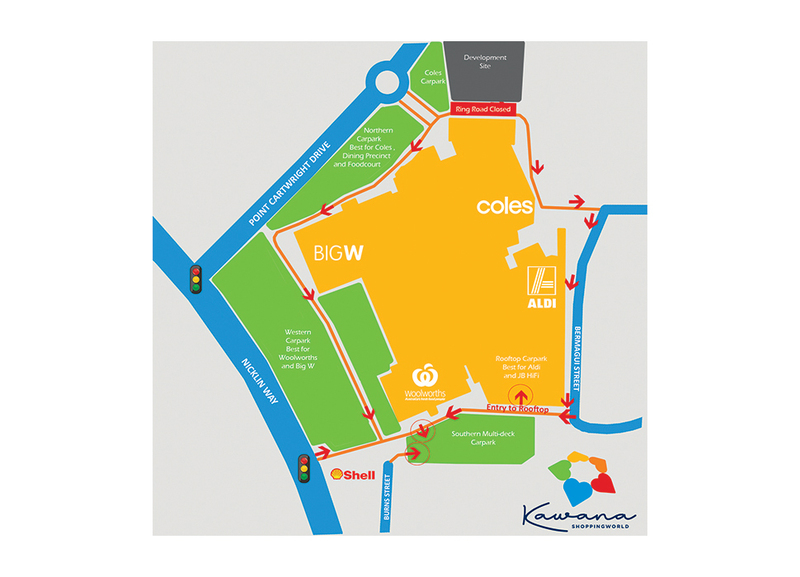 We will continue to provide updates and thank you for your patience as we move towards delivering this next exciting stage of Kawana Shoppingworld.